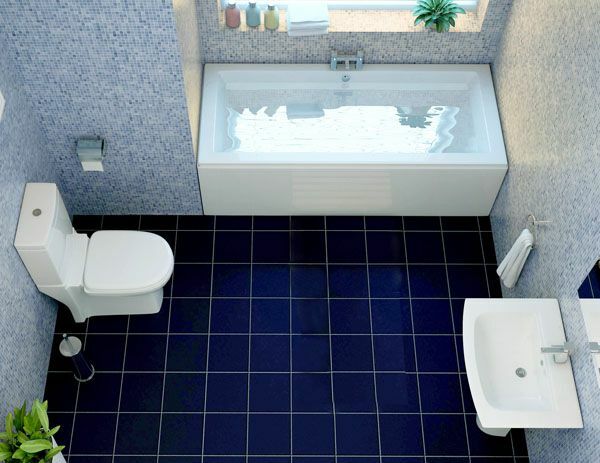 Sorea Cubic Full Bathroom Suite - Only £512.99! In stock now for just £512.99 including VAT! Hurry while stocks last! This attractive Sorea Cubic Full Bathroom Suite is a stylish and contemporary set encompassing the very latest trends. Boasting the stunning and highly popular Sorea Cubic Bath as a centrepiece, this bold and modern full bathroom suite is the final word in cutting-edge bathroom design. The taps, toilet and basin also all have that sharp angle, clinical modern feel, and blend together seamlessly to create a chic yet contemporary suite. The Synergy Cubic Straight Double Ended Bath is an extremely popular and highly versatile fixture, making it perfect for any bathroom setting. The bold shape and luxurious white gloss acrylic makes it the perfect focal, whether your home adheres to modern or traditional design schemes. 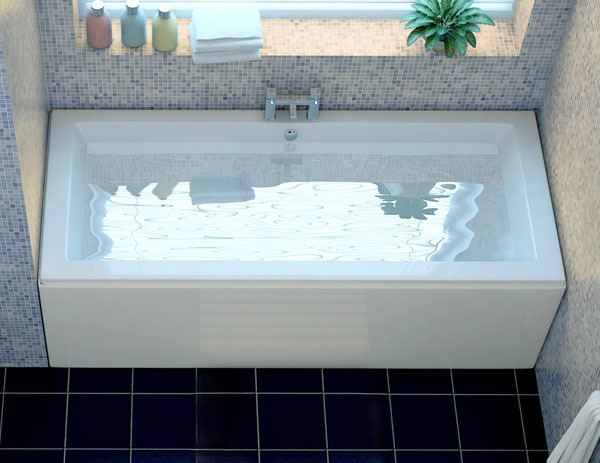 Aside from its unmatched style, functionality and durability are also important features of this luxurious tub. The combination of its premium grade, 5mm acrylic and fibre glass reinforcement has made this bath both reliable and long lasting. The bath comes with a matching gloss white Front Panel as standard when ordered as part of this stunning full bathroom suite. This bathtub is fully encapsulated, ensuring that the baseboard will not delaminate like cheaper baths and that no water can ever reach the baseboard. The foot pack is heavy duty and attaches to the base of the bath for greater stability. This deluxe designer bath is available in a choice of four sizes, selectable via the drop-down menu near the bottom of this page. The contemporary yet practical styling continues with the toilet and basin, with both providing a compact, easy to clean bathroom addition. 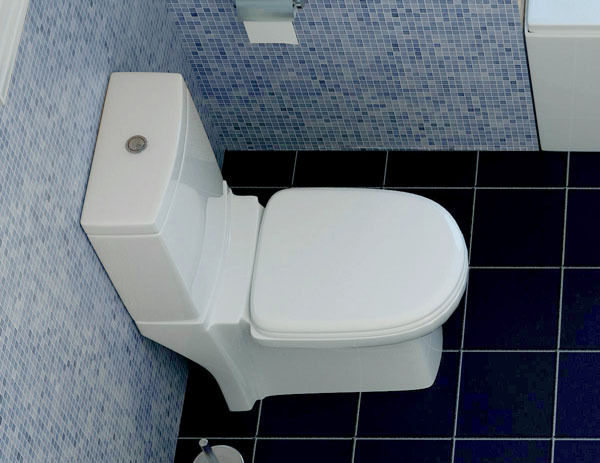 The cistern comes with a duel flush feature, which allows you to choose between a low-power and high-power flush. Not only will this save valuable pounds on your water bill, but it is also greatly beneficial to the environment. In addition to this, the soft-close toilet seat comes at no extra cost, and ensures that loud, and sometimes dangerous seat slams are a thing of the past. The Tec Studio Y range is a real favourite with our customers, due to its unrivalled modern style. The cascading effect of the waterfall spout creates the image of a luxury spa inside your bathroom every time you turn the taps on. 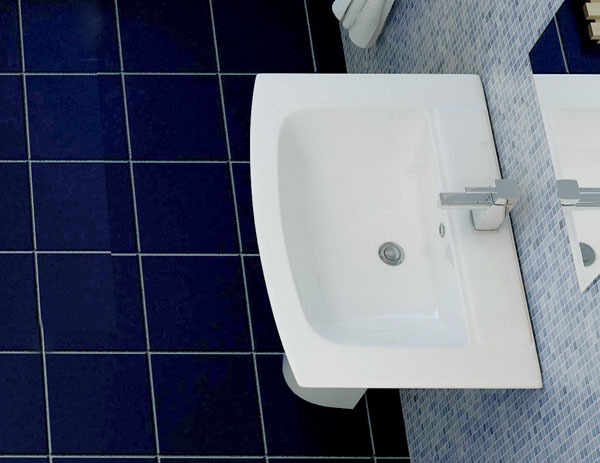 Additionally, the basin taps come with a round click slotted basin waste, which allows you to control the strength of the water flow with a simple click of the tap. The tap is constructed of brass containing not less than 59% copper which means it will not tarnish over time unlike many cheaper alternatives on the market. This full bathroom suite is one of the most popular in our range due to its blend of quality, design and value. As stated above, the bath is available in a choice of four sizes, granting you maximum choice when customising your bathroom. Front and End Panels also available. Panels pictured are for illustrative purposes only, actual panel may differ slightly in appearance. Offering an unbeatable mix of style and substance, this stunning full bathroom suite can be seen in countless homes throughout the country.